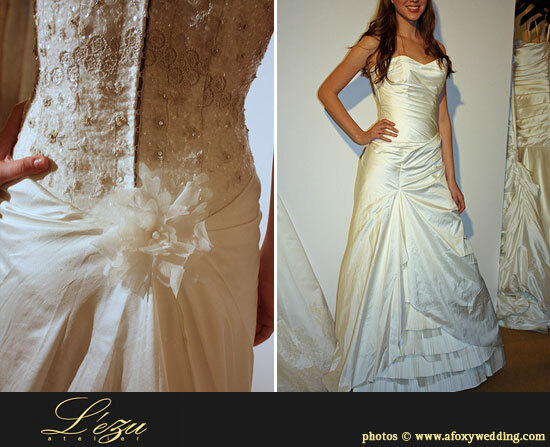 Thank you for inviting me to post about 2010 Spring Bridal Market on Brenda's Wedding Blog! It was my first time at market as press instead of as a buyer for my bridal shop, and it was a vastly different experience. As a buyer/owner, I was focused on what gowns I thought would be best for my customers and my price point. As press, my attention was geared towards seeing as many collections as I could while keeping track of trends and reporting back. It was a lot of fun talking it all in and seeing the bigger picture unfold over the course of my time in New York. Design elements I saw consistently included soft color, flowers, feminine asymmetrical necklines, tulle, ruffles, feathers, belts, lush draping, and a return of the ball gown. 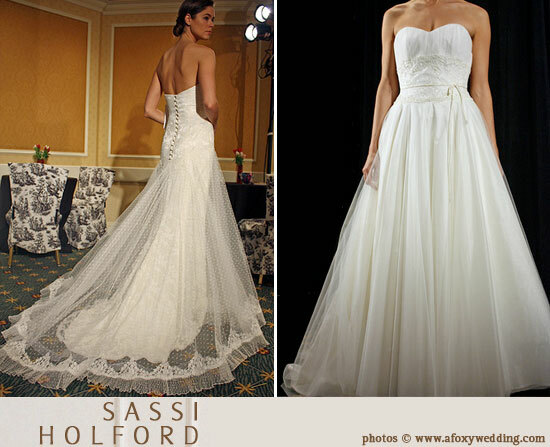 With the return of the ball gown silhouette, an emphasis on the fit and cut of the bodice was also apparent. Sweetheart necklines, asymmetrical straps, and gauzy shrugs highlight a woman’s silhouette, allowing the proportion of the skirt to the waist to be showcased at its best. For Spring 2010, there is an abundance of it! Gowns with a slimmer skirts were also shown, but not as dominantly as in past seasons. Often, the narrower silhouettes had an echo of fullness communicated through tulle overlays and additional details like ruffles, feathers on the skirt, or a voluminous train. Details such as belts, corsages, and detachable overlays that can be used in several gowns within a collection were also prevalent. This increased versatility allows for brides to customize their gowns, making each one unique as well as allowing for more variety within a designer's collection. 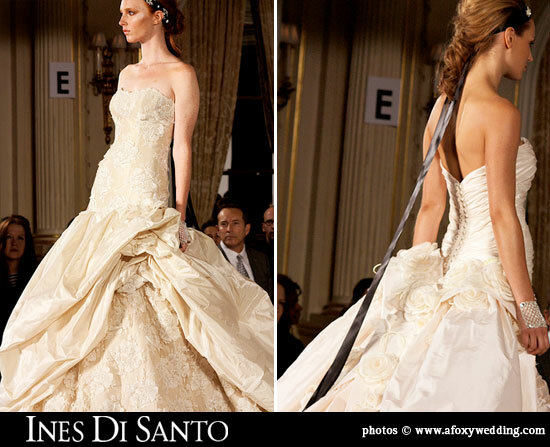 Overall, the gowns shown for Spring 2010 had a gracious, uplifting quality that was inspiring, serene, and dreamy. It was a pleasure seeing them all, and I can't wait to see some of those marvelous gowns on brides in the next year! A very special thank you to Jessica of A Foxy Wedding for writing today and sharing all the scoop on the Spring 2010 Bridal Fashions for my readers. Jessica Fox is an entrepreneur with over 10 years of small business experience in the wedding industry. She formerly owned one of the leading bridal boutiques in the Washington, DC area until 2009, and she is now a freelance writer specializing in blogging and social media services. She is a contributing blogger at Wedding Aces and authors Foxy Wedding, her own blog on all things wedding.